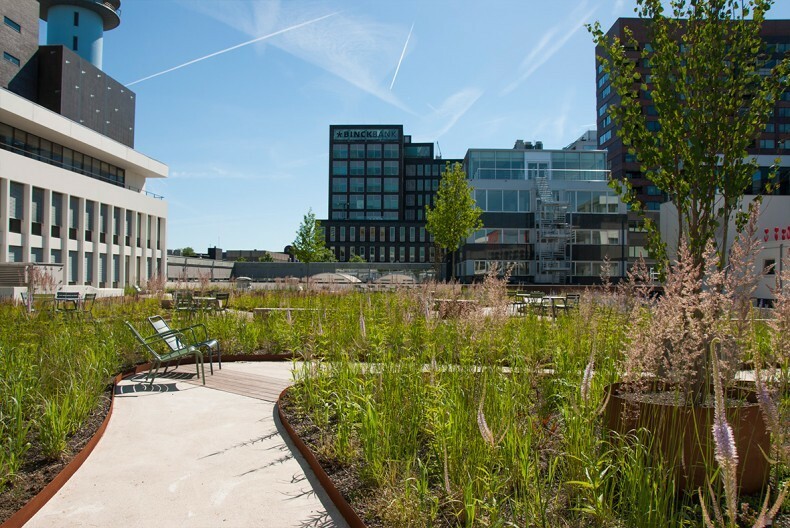 karres+brands, in collaboration with De Dakdokters, is one of the eleven nominees for Roof of the Year 2017 for their design of the roof park Vivaldi. 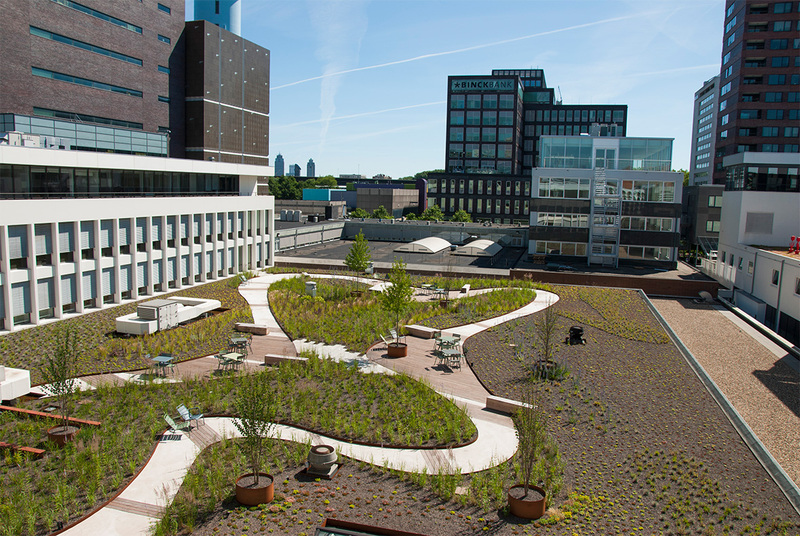 In the middle of Amsterdam Zuid, the roof of a parking garage was turned into a true rooftop park. The result is the transformation of a dull, inaccessible rooftop into a colourful, inviting rooftop park. At approximately 2000m2, it is one of the largest rooptop parks in Amsterdam Zuid. An independent jury will evaluate the various projects, while taking into account the esthetical value, innovation, functional value, cohesion, safety and sustainability. The award ceremony will take place on the 23rd of March, 2018.